Patina & Hue is a blog for women interested in conversations about 40 plus style. We feature articles on developing your own personal style, interesting art and artists, design that we love and also feature amazing and inspirational women. Tree of Life Series | Tree & Tahitian Pearl | Sterling silver with 18K gold leaves and a black Tahitian pearl drop. Images above clockwise from top right: His-Hers River Rings (River Series) Sterling silver, Her ring is set with a yellow Citrine gemstone | Fall Acorn Earrings & Leaves (Acorn series) Earrings are torched enameled copper with green jasper bead. Leaf Pendant is torched enameled copper on a oxidized sterling silver chain. 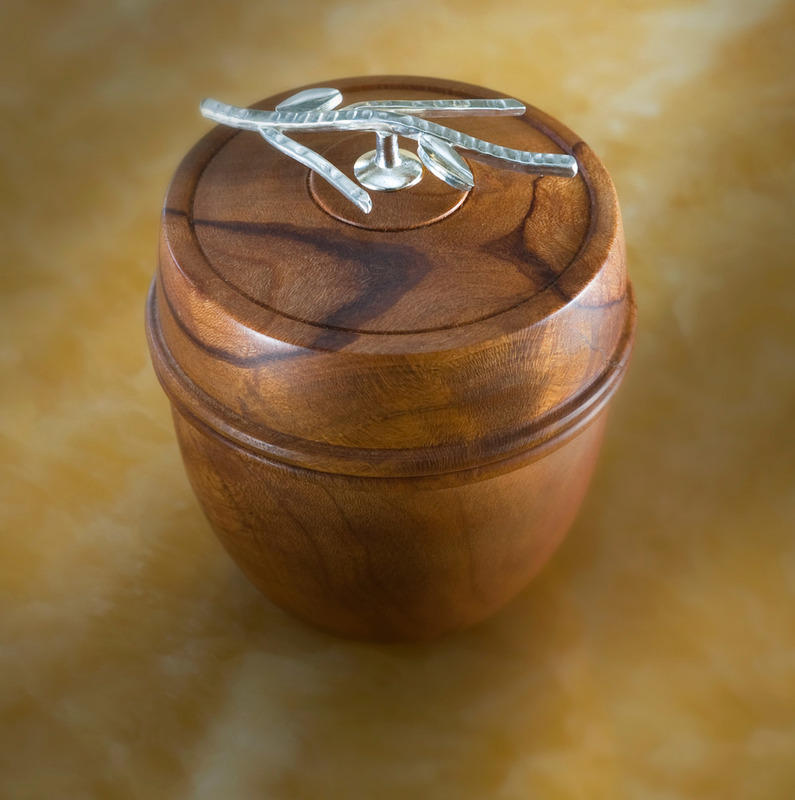 | Ring Box (Twig series) Hand turned wooden box with a sterling silver twig pull. | Twigs Rooted Necklace (Tree of life series) Sterling silver with a Chrysoprase gemstone. Top left: River Cuff links & Box(River series) Oxidized sterling silver with 14K gold cufflinks in a wooden box with a sterling silver twig pull. 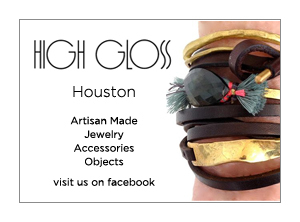 Top right: River Bracelet (River series) Oxidized sterling silver with 14K gold bracelet slide on leather. Peruvian Opal Ring (Twig series) Sterling silver with a Peruvian opal set in 22K Gold. Men's River cufflinks in a handmade wooden box with silver twig | Available at the Gala Auction Event Thursday, July 30th. Click here to learn more about the Opening night gala Fundraiser / Fashion Show at the Montage, Deer Valley. Q: Melissa, I know from our conversations that you derive a great deal of creative inspiration from being outdoors. How does that directly inform your work? A; "The natural world is always pulling at me…. to slow down, to step outside and experience the “mystery within nature”—my work celebrates what I experience in those moments. To be more specific, old-growth forests fascinate me. As I was developing my distinct visual voice, memories from an extraordinary visit to a coastal redwood forest kept appearing, inspiring the textures and color palettes I began using. More important, it was the emotions I felt when standing in that primeval forest I started to capture in different pieces, and an organic elegance and sense of antiquity showed up in my work." "...it was the emotions I felt when standing in that primeval forest I started to capture in different pieces, and an organic elegance and sense of antiquity showed up in my work." A: "Pieces can take days or even weeks. My work is done in a spontaneous manner, an idea may be scribbled out as a starting point, but materials and techniques guide the work into a finished piece. This evolutionary process keeps my creative thoughts flowing." 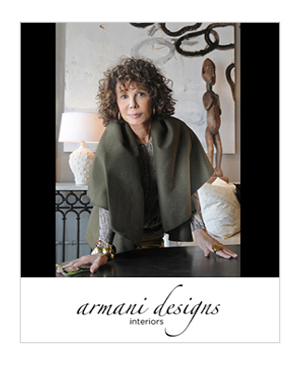 "To propagate this evolution of a design, I make one-of-kind pieces, each piece inspiring the next. Serial imagery or what I like to call the “kaleidoscope effect” is where I take a piece and redesign it…. and like the turn of the kaleidoscope, the variations are endless. By making one-of-a-kind pieces, I emulate nature and promote our individuality as humans, which I find a breath of fresh air in a world of mass produced, identical products." "The ancient technique of granulation is perfect for creating organic texture. For my river series, I use a torch to fuse tiny grains of gold and raised lines of silver onto the metal surface of the piece. I then expand the technique by flowing melted gold in and around the applied textures. To achieve the rich color palette, I oxidize the piece a deep black to illuminate the gold. For my botanical pieces, the gemstones and the metal finishes I choose, allow me to express the dance of movement that light, mist and breeze create in the forest." Q: When did you start making jewelry? A: "I was drawn to artistic mediums that were very hands-on and fell in love, almost immediately, with metal-smithing while in high school. 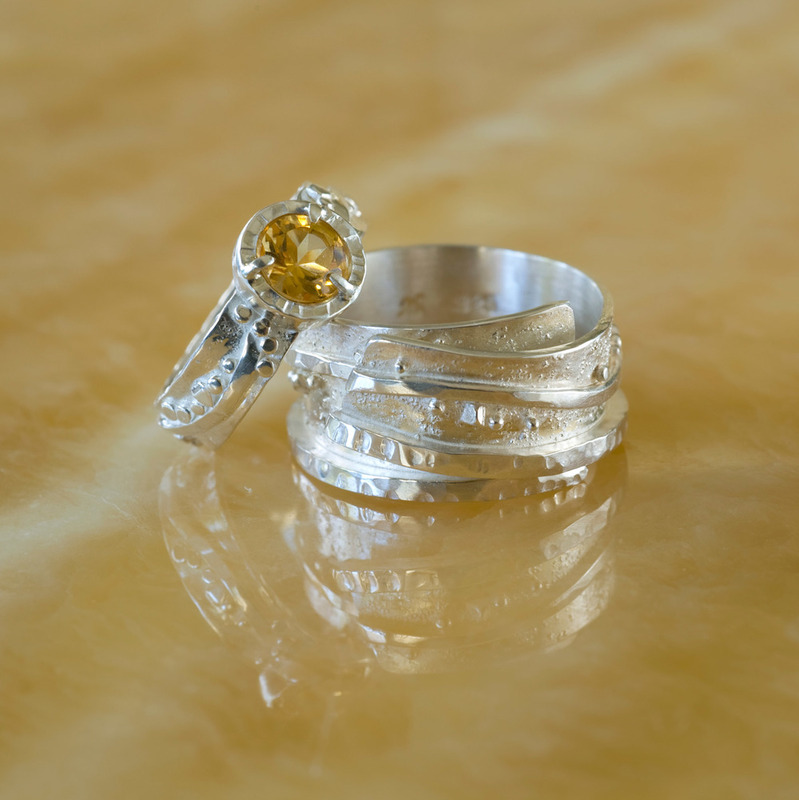 I later went to on study at The Revere Academy in San Francisco where I became a traditionally trained goldsmith and for a brief time I worked as a bench jeweler. The lure of creating a life in which I was a working artist led me out of the commercial marketplace to open my own studio in 2007. The arts and crafts marketplace is a perfect fit for the type of creative work I do and fits with my lifestyle." Q: I've noticed that some women feel if they are wearing one color of gold, or other metal such as silver that they are hesitant to mix it up with their jewelry or metallic accents on their shoes and handbags. Your work has a lovely intermingling of different types and colors of metals. What would you say to someone who might be concerned about wearing their rose gold along side of their silver or white gold? A: "Yes, I love combining different colors of metals into my work and I do know that years ago it was considered chic to keep your metals all the same color. 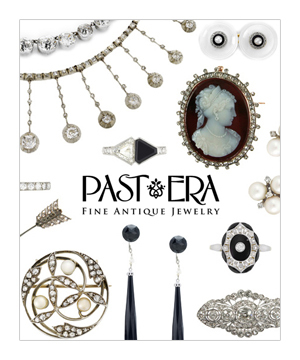 But time has changed that concept—now women, and men alike can layer on different metals into one look and feel confident about doing so....I would say have fun with your jewelry, toss the old rules out as anything goes these days!" Melissa was raised in Pasadena California, moved to Santa Barbara, then San Francisco, before landing in the mountain town of Park City, Utah with her husband and daughter. You can see more of her work on her website by clicking here or at the upcoming Park City Arts Festival, July 31-August 2, 2015. Patina & Hue is a blog discussing 40 plus style for women interested in conversations about design, art, developing personal style and interviews with inspirational women. All images on this site are taken by Pamela or Marianne, unless otherwise noted. We’re happy for you to share images, but please make sure to link back to the original post and give credit. Also, should we feature an image of yours that happens to be mis-credited or would like to be taken down, please let us know and we’ll take care of it right away!